A wonderful camp for your youngest children between the ages of 3 and 7! The camp runs Monday-Friday from 9 AM - 12 PM with drop-off between 8:30 AM and 9 AM and pick-up between 12 PM and 12:30 PM. Children learn about music through singing, arts and crafts, and through learning piano skills. Each week of camp features its own theme! Come “Rock Out” in our Rock 'n' Pop ensemble. Learn your favorite songs of today and actually play in a rock band! Voice, guitar, drums, bass guitar, piano, trumpet and saxophone are all welcome to join. The ensemble meets Thursday evenings at 6 PM and 7 PM for an hour each. Learn how to speak the language of music theory. This is a class for the student who is advanced and needs a challenge, and it will also prepare students to take The Royal Conservatory theory assessments! Classes meet Monday through Thursdays from 3 PM to 6 PM. Have you ever said to yourself, ”I wish I had learned how to play piano”? Now is your chance! Piano lab will have you playing songs on piano in just three classes! It is a group class for up to 6 students, and is great for adults and older students ages 10 and up. Piano Lab will be offered Thursday evenings at 7 PM. This class will teach students how to use the recording studio, from setting up microphones and using the software, to using the skills learned to do an actual recording! Classes are limited to 3 students, so sign up as they fill up fast. Classes will be Wednesdays from 6 PM to 7 PM. 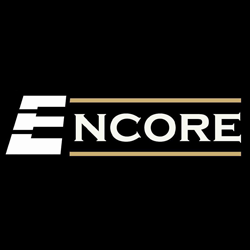 Encore Music Academy continuously offers private lessons on every instrument throughout the whole year, summer included! Come take some lessons and catch up, or get ahead for next year.